Date Elected or Appointed: Appointed December 13, 2005 to fill a vacancy on the City Council; elected November 2006 and re-elected November 2010, 2014 and 2018. Served as Mayor in 2008, 2013 and 2018. Council Member Miller was appointed to fill a council vacancy in December of 2005. He was elected in 2006, re-elected in 2010, 2014, and 2018. Steve served as Mayor in 2008, 2013 and 2018. Born and raised in the San Francisco Bay Area, Steve moved to Citrus Heights 32 years ago at the urging of his wife Nanette, a Sacramento native. They are very proud of their two adult children and six grandchildren. Their son graduated from Cal Poly SLO, completed his master’s degree and is now teaching at a local high school. Their daughter followed dad’s footsteps and graduated from Chico State, then served overseas as a Specialist in a U.S. Army Military Police Company and now works for a bank serving veterans and active military clients. Steve especially enjoys hanging out with family and friends, reading, world travel, camping in the mountains, and following his favorite sports teams. His hobbies include working on the house, gardening and computer programming. Mr. Miller worked in the construction industry for 42 years – First as an electrician and then 12 years as an Inspector and Construction Manager for the County of Sacramento. Steve started his own construction consulting business in 2000. He joined KMM Services in 2010, an electrical and technology engineering firm located in Carmichael. Steve also worked for the San Juan Unified School District as a Construction Manager for Capital Improvement and Bond Projects in 2014-2015. He retired from fulltime work after his winning a battle with bladder cancer. Currently Steve is representing Citrus Heights on the Sacramento Regional Transit Board of Directors and served as chairman in 2010. He is a director for the Capitol Corridor JPA, U.S. Army Rhino Battalion Community Relations advisory board member and ex-officio member of the Sunrise MarketPlace Board of Directors. Over the years he has represented the city on the Sacramento Area Council of Governments (SACOG) Board, Sacramento Regional Sanitation, Sacramento County Library Board and Metropolitan Cable TV Commission. In February of 2018, Steve helped introduce SmaRT Ride to Citrus Heights. This city-wide door-to-door on demand transit service was the first of its kind in our country and is growing in popularity throughout the region and nation. 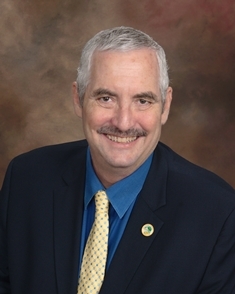 Prior to becoming a council member, Steve was Vice Chair of the Law Enforcement Community Advisory Committee recommending Citrus Heights form their own police department, Vice President of Neighborhood Area 10 for many years and served as President of the Resident’s Empowerment Association of Citrus Heights in 2005. He has been active in community service as a member of the Rotary and Lions Clubs, Mesa Verde Boosters Club, Sunrise Girls Softball, PONY Baseball and the Citrus Heights Chamber of Commerce. His priorities for Citrus Heights include continued fiscal responsibility, improved public safety, economic development that results in professional jobs and services for our residents, reducing homelessness, enhancing the character of our existing neighborhoods and most importantly… repairing our roads and infrastructure.